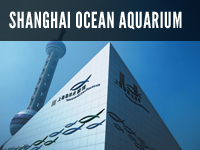 Built at a cost of US$55 million, Shanghai Ocean Aquarium (SOA) is the Group’s flagship attraction. Located adjacent to the Oriental Pearl Tower, it is well primed to serve visitors in Shanghai’s bustling financial district of Lujiazui in the Pudong New Area. SOA is one of the world’s largest indoor, closed system aquariums one of the world’s largest indoor, closed system aquariums with a total capacity to hold more than 6.3 million litres of water. Built to international standards, it has a design capacity of approximately 21,000 visitors a day and occupies an area of 20,500 square meters. SOA is divided into 9 different thematic zones that showcase aquatic life in a habitat complete with landscape designed to simulate the place of origin. SOA has a collection of more than 15,000 fish and marine livestock from 450 different species. It also has one of the world’s longest underwater viewing tunnels measuring at 155 meters with 270-degree views, designed to provide visitors with a surreal experience of “exploring the ocean”. 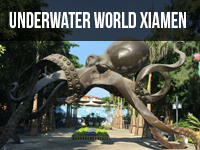 SOA is currently the only aquarium in the world that boasts a separate exhibition zone dedicated to the display of rare and endangered species from the famous Yangtze River in China. For its continuous efforts in the promotion of marine and environmental conservation through various educational programs and channels, SOA has been accredited as a Shanghai Municipal Education Base by the local authorities. Since its opening in February 2002, SOA receives more than 2 million visitors every year from within China and all over the world. 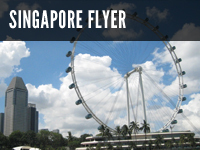 SOA has had the honor to host distinguished guests such as Singapore’s former Minister Mentor Lee Kuan Yew, China’s former President Jiang Ze Min and famous basketball star Yao Ming, and many other VIPs that have visited over the years. The Aquarium also hosted the 2008 International Aquarium Congress in Shanghai. Held every four years, the IAC is the most important event for the international public aquarium industry. SOA hopes to inspire visitors of all ages and from all walks of life to better understand and care about our rivers and oceans.Through fascinating exhibits and interactive programs, it aims to provide both entertainment and education for every person that walks into the aquarium.